How do you find places like this one in Paris? Book a random hotel in an area where you’ve never lived before. You will always discover something new. I left the building and found these walls just around the corner. 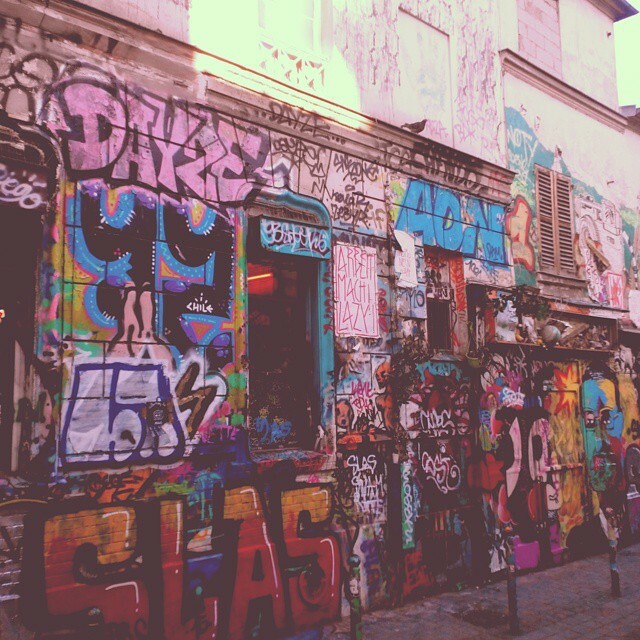 It tuned out I was staying next to Rue Dénoyez, a street in the Belleville neighborhood famous for its graffiti. The street was in decline and they finally allowed artists to do whatever they want here (poor property owners). The walls change every day as new layers of artwork are being added. I guess everyone can bring spray paints here and have some fun. View from the hotel – a bit depressing :) Despite the street art – I felt like this area was quite safe – you can live here. There’s a cafe at the corner of Rue Belleville and Rue Dénoyez named Aux Folies, which is a popular meeting point for locals. If you are in this part of the city, consider visiting Parc de Buttes-Chaumont, it is within a few minutes walk from the street. There’s a bar nearby called Triplettes (Boulevard Belleville) – open till late, like 2am. In 2016 the local authorities started to destroy some of the buildings on the “rue du graff” to make room for a social housing project (source, in French). 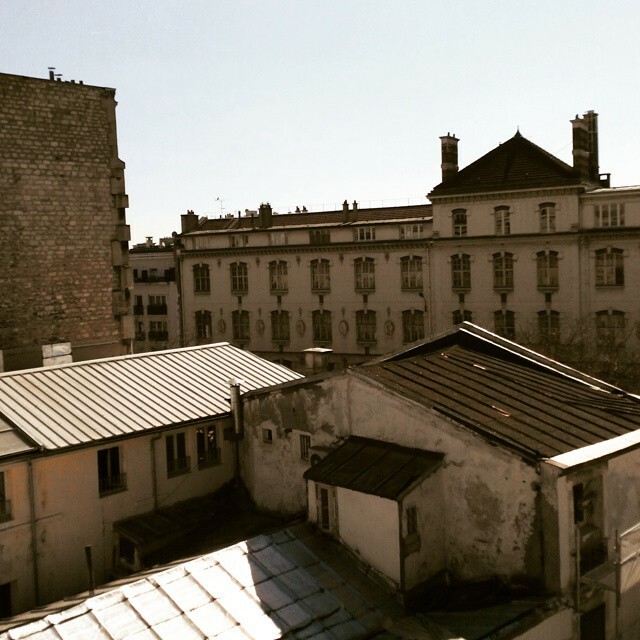 They say a smaller version of Rue Dénoyez will continue as an urban art center. Skeptical? Visit the open air art gallery while it is still there.